A timely and powerful story about a teen girl striving for success in a world that too often feels like it wants to break her. Jade believes she must get out of her poor neighborhood if she's ever going to succeed. Her mother tells her to take advantage of every opportunity that comes her way. And she has. She accepted a scholarship to a mostly-white private school and even Saturday morning test prep opportunities. But some opportunities feel more demeaning than helpful. Like an invitation to join Women to Women, a mentorship program for "at-risk" girls. Except really, it's for black girls. From "bad" neighborhoods. And just because Maxine, her college-graduate mentor, is black doesn't mean she understands Jade. And maybe there are some things Jade could show these successful women about the real world and finding ways to make a real difference. When I learned the Spanish word for succeed, I thought it was kind of ironic that the word exit is embedded in it. Like the universe was telling me that in order for me to make something of this life, I'd have to leave home, my neighborhood, my friends. See PIECING ME TOGETHER: A Discussion Guide About Race, Class, Gender, and Intersectionality, courtesy of Curious City here. Part of what makes this story so wonderful is that Watson never condemns any one person or any one side of any issue. It’s both the mentor and the mentee who offer wisdom. The old life and new lifestyle both offer healthy contributions to Jade’s life. There is good to be found in the wealthy and the poor. Real life reflects this kind of healthy weaving of disparate parts and Watson reminds us that when everything works together, we often have a healthier whole. (Reviewed by Bradley Sides). The book's defiance of a single-issue lens will surely inspire discussion and consideration. Starred Review. eeming with compassion and insight, Watson's story trumpets the power of artistic expression to re-envision and change the world. Starred Review. A timely, nuanced, and unforgettable story about the power of art, community, and friendship. Starred Review. 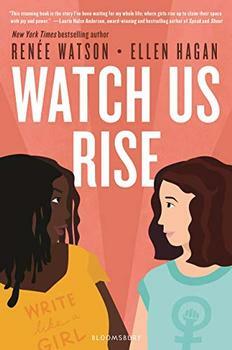 This unique and thought-provoking title offers a nuanced meditation on race, privilege, and intersectionality. Watson’s elegantly crafted novel speaks to the myriad of people who find themselves searching for themselves in the world . . . There is a little bit of Jade in all of us. As she and the rest of Watson’s characters jumped off the page and into my heart, I found myself again and again, remembering this. Such a great and heartwarming story! 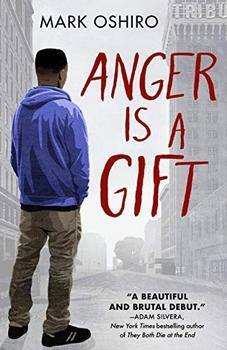 This book is amazing that's why I gave it 5 stars I enjoyed reading it. Hope you do too. If you have it. The book is like how my childhood was like. It is amazing.